Industry Legend Bill Thrasher, of Super Bowl and Disney fame, is coming to Delmarva to help churches improve worship production skills, and present a more engaging experience. Bill began working in the audio industry as a recording studio mixer while attending high school. He has since held staff positions at both Walt Disney World and MobilSound. Bill’s expertise in the design and operation of audio systems is based on his personal mixing of over 3,000 live presentations for the entertainment industry, Churches and Christian Ministries including the Billy Graham Evangelistic Association, and his designs of many permanent and portable installations. This year, Richard Chilvers returns as a Key Note Speaker at the 2019 Worship Production Conference on March 23, 2019 held at Crossroad Community Church in Georgetown, DE. Richard started in England as a studio engineer and then as engineer and producer of a wide range of Christian radio programs which were aired worldwide. He asks “Can you worship while you work?” and provides the answer with refined knowledge from over 45 years in the audio/visual industry. The 2019 Worship Production Conference is presented by Mid South Audio, Crossroad Community Church, and The Bridge. A tradeshow will be held during the conference, and representatives from over 45 companies will be on site to answer audio and visual questions. While enjoying the event, Worship Production Conference attendees may enter for a chance to win over $5,000 in door prizes. 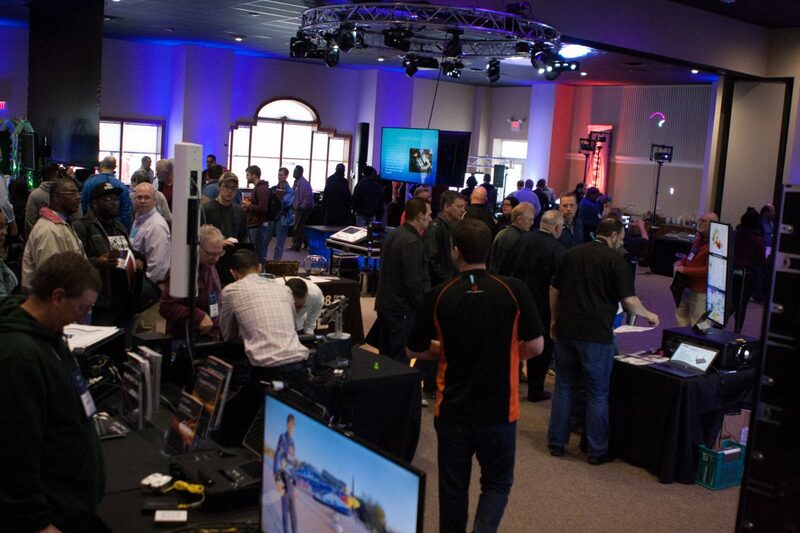 A full day of teaching is planned by industry leaders from Roland, Shure, Yamaha, Atlona, Haverstick Designs, Earthworks, Jay Delp Productions, and more. Short biographies for each speaker are available online at 887thebridge.com along with tickets to the event to be held this Saturday, March 23 at Crossroad Community Church in Georgetown, DE. Worship Production Teams who improve their presentation skills through audio and visual training will serve their church better through a more engaging experience. In 2013, the first Worship Production Conference was held at Crossroad Community Church. Today, the conference is anticipated by audio/visual technicians, worship leaders, and pastors who attend the event for intensive training led by industry leaders. Attendees will discover how to better mix a worship service, how to prepare graphics and video for sermon series, and how to better use the A/V equipment installed at their church. The Bridge broadcasts Christian music and serves most of the Delmarva Peninsula and southern New Jersey on three frequencies – WKNZ 88.7 FM licensed to Harrington, DE, WNKZ 92.5 FM licensed to Pocomoke City, MD, and W232DJ 94.3 FM in Ocean City, MD. The stations are owned and operated locally by the non-profit Bridge of Hope, Inc., and are listener-supported, non-commercial radio stations. The station is also available online via its free app or 887thebridge.com.